INDUSTRY.co.id - Makassar - AXA Financial Indonesia's insurance company invites the public to recognize and utilize Sharia insurance services in their financial planning and management. "Utilizing the momentum of Ramadhan this month, we are trying to educate people to go further about sharia insurance," said AXA Financial Indonesia President Commissioner Benny Waworuntu in Makassar, South Sulawesi, Thursday (31/5/2018). Not only increase financial literacy, he said, but at the same time open access to wider syariah financial services by introducing Sharia insurance products that suit the needs of customers. The literacy activities packed in the seminar highlighted the main topic of 'Knowing the Nearness of Sharia Insurance', attended by the cadres of the PKK Team of Makassar Municipality and the press person, Waworuntu discussed how to manage finances and counseling healthy living. Through this activity, AXA Financial Indonesia seeks to invite the public to know more about Takaful insurance and encourage their awareness and ability. "Plan more financially for the sake of achieving financial independence," he said. Benny said this event is a collaboration between AXA Financial Indonesia and the Ministry of Health which is in line with the government program of Healthy Living Community Movement (Germas) launched since June 2017. "This program is a continuation of AXA Financial Indonesia's long-term commitment to empower people for a better life in the future or 'empower people to live a better life'." he said as quoted by Antara. Based on data from the Association of Indonesian Sharia Insurance (AASI) that the index of Sharia Insurance is still in the range of 2.51 percent. This figure is much lower than the number of financial literacy index against insurance that is 15.75 percent. 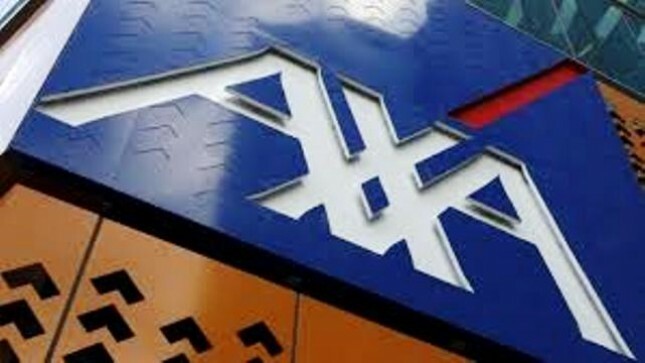 Currently, AXA Financial Indonesia has two sharia products that have been well received by customers, namely Maestro Syariah and Cerdas Amanah Syariah. Maestro Syariah is a long-term unitlink product with investment components and life protection that can be combined with 'riders' of health, accidents and critical illnesses. Cerdas Amanah Syariah is unitlink product with investment component and life protection for a certain period of 10-25 years for education planning. Waoruntu said Germas activities that invite people to apply a healthy lifestyle during the month of Ramadan is held in three cities in Indonesia, namely Jakarta, Yogyakarta, and Makassar. He added Germas aims to raise awareness, willingness and ability of people to behave healthy life in order to increase the degree of public health can be realized. With a partnership that has been running for a year since June 2017-June 2018, he said, AXA Financial Indonesia and the Ministry of Health through Germas program has touched 400 participants. The partnership with Health Office is one of the company's strategic steps to carry out its vision of empowering people to live better, with AXA Financial Indonesia's main focus being to provide added value to the community. "We are committed to continuously innovating in providing the best service for This is in line with the 'Salam 10 Sempurna and Sincere for Customer' program launched by the company to improve service and improve customer satisfaction, "said Benny. Previously, this Germas program has been held in Surabaya and Manado with female participants and PKK cadres.